Dr. Moghaddam received his Ph.D. at the University of Maryland in 2006. 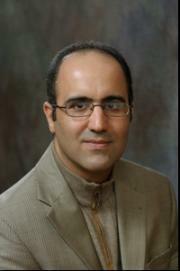 Saeed Moghaddam, Ph.D., is an Assistant Professor in University of Florida. Before joining the University of Florida in 2010, he was a postdoc (2007-2010) in Chemical and Biomolecular Engineering Department at University of Illinois at Urbana-Champaign. His research is focused on micro/nanoscale transport and nanotechnology. His major contributions to science and technology are: demonstration of membrane-based absorption/desorption cycle with a significantly higher performance compare to the existing technologies; the most detailed physical insight, over nearly a century of nucleate boiling science, on the nature of thermal field at the bubble-surface interface; development of the first Si-based proton exchange membrane (PEM) capable of operating at dry ambient; and development of the world’s smallest fuel cell.